religious shrine in Balochistan Province, Pakistan on Saturday, 12 November 2016. 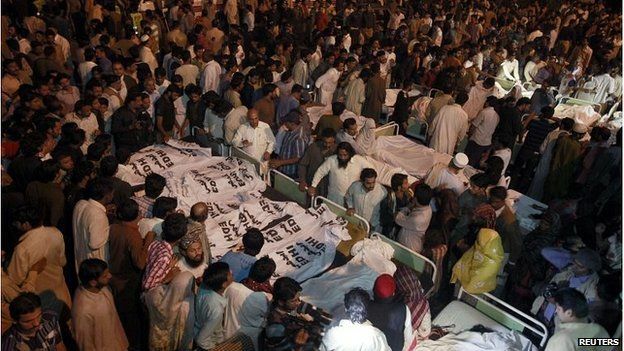 A suicide bomber detonated his explosives in the shrine, killing 62 people and wounding more than 100 devotees. This senseless and cowardly attack is deeply concerning as the perpetrator targeted unarmed civilians who were in prayer and paying respects at a shrine of a religious leader. We condemn all forms of extrajudicial premeditated violence and extremism against civilians as these acts do NOT reflect Islamic values and guidance in the least as the preservation and sanctity of life are of paramount importance. Actions of this nature place the perpetrator outside the ambit of Islamic jurisprudence which guides mankind towards peaceful resolution and good relations based on justice, respect and tolerance. We convey our deepest sympathy and condolences to the bereaved families and wish the injured a speedy recovery. We call and pray for an end to these senseless acts of violence which destroys peace, harmony and good relations amongst the people living in this historic area.